Uh oh! Remember how the other day I was talking about the Emotion Engine and how the 80GB won’t have it? Well it essentially now means you won’t be finding the Emotion Engine anywhere except a PS2. Sony is no longer carrying the 60GB model in the US and will be only carrying the 80GB version without the EE chip once 60GB models sell out. Confirmed by SCEE President Dave Reeves, Sony says they’ll be using the 60GB drives overseas on UK models of the PS3 (the ones that already have no Emotion Engine). This means the 60GB model is basically on sale and the price cut won’t really be effective 6 months down the road. 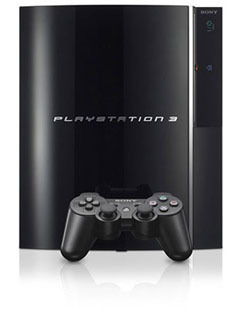 If you want a PS3 with an Emotion Engine chip, I suggest running out and buying one now. Otherwise, you may be forced to buy one off Craigslist or eBay, which could get hella pricey.